Hazare also questioned suspended Aam Aadmi Party leader Kapil Mishra for staying silent when he saw Kejriwal accepting Rs. 2 crore. 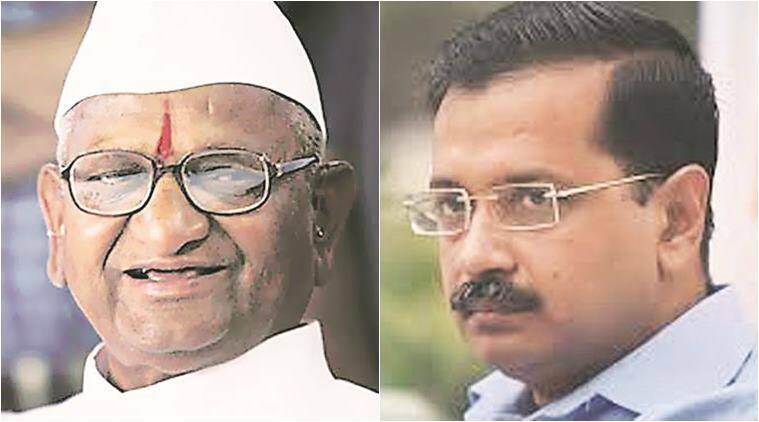 Social activist Anna Hazare on Wednesday suggested Delhi Chief Minister Arvind Kejriwal to come forward and say that he was ready for investigation, if he hadn’t done anything wrong. “Arvind Kejriwal must come forward and say that he is ready for investigation. If Kejriwal is not found guilty, then he must file a defamation case against the concerned person and if found guilty then must resign within a second,” Hazare told ANI. Hazare also questioned suspended Aam Aadmi Party leader Kapil Mishra for staying silent when he saw Kejriwal accepting Rs. 2 crore. “I am feeling very saddened about such allegations on Arvind Kejriwal. He was always with me when we fought against corruption. While fighting against the corruption, he became the Chief Minister. His own party’s minister has now put allegations on him for accepting Rs. 2 crore. Why had the concerned minister not revealed to the public earlier when Kejriwal accepted the money? Now, he is putting allegations after being ousted from the party. This is not right,” he questioned. Earlier in the day, Mishra handed over to the Central Bureau of Investigation the documents in connection with the corruption charges he levelled against Kejriwal and other party leaders. He further asked the AAP leaders, Satyendra Jain, Ashish Khetan, Raghav Chaddha, Sanjay Singh and Durgesh Pathak to put out the details of their foreign tours in public domain, while saying that he would sit on a hunger strike if they refuse to do so.